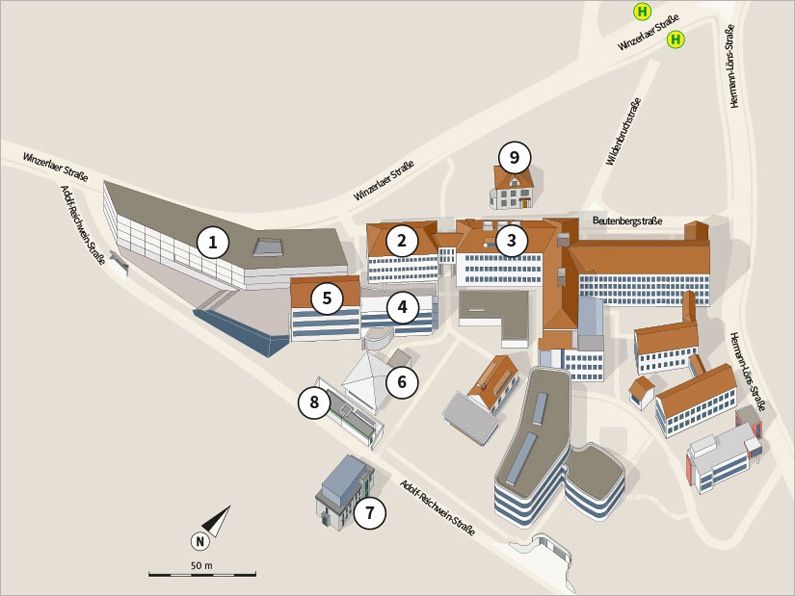 The FLI is located at the southern part of Campus Beutenberg in Jena and can easily be recognized by the long white laboratory building stretching along the road. This is where you can find the reception. 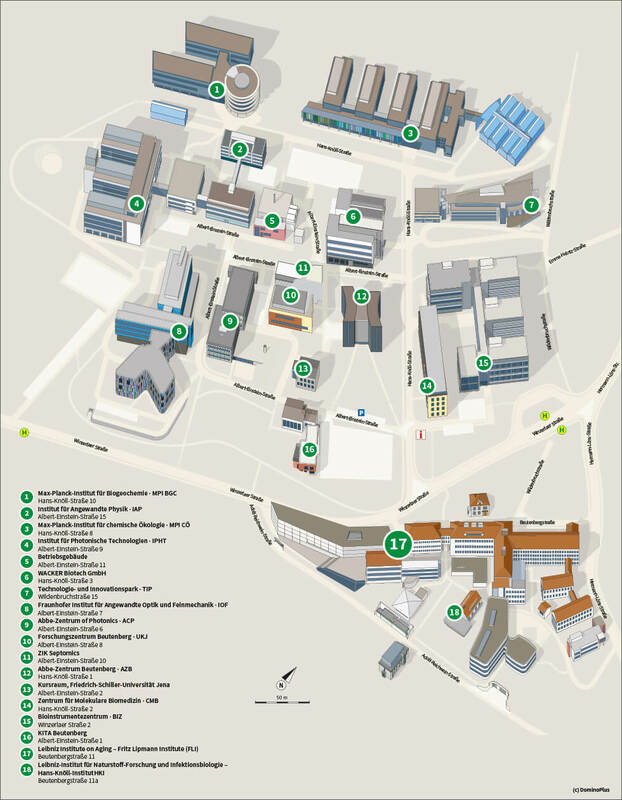 Tram 5 (or 35) (destination Ernst-Abbe-Platz) until station Holzmarkt (1 station); change to bus 10, 11 or 12 until station Beutenberg-Campus. 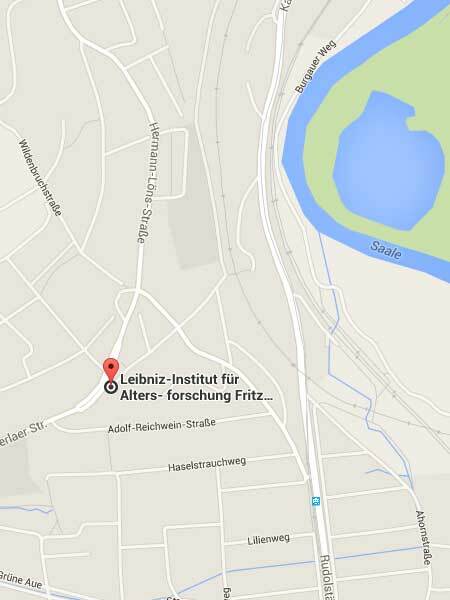 Tram 2, 3 (or 34) (destination Winzerla) until station Ringwiese; walk about 5 min. up Hermann-Löns-Straße. Walk about 100 meters until Magdelstieg. Take bus 10 (destination Burgaupark), 11 (destination Ammerbach) or 12 (destination Göschwitz-Schleife) until station Beutenberg-Campus. Click here for long-distance network of routes (pdf) of Deutsche Bahn. Click here for regional network of routes (pdf) of Deutsche Bahn.